↑ "Wilhelm Schickard – Ein Computerpionier" (PDF). ↑ ୫.୦ ୫.୧ David Kahn, The Codebreakers, 1967, ISBN 0-684-83130-9. ↑ ୬.୦ ୬.୧ ୬.୨ "Computer Science : Achievements and Challenges circa 2000" (PDF). Archived from the original (PDF) on September 11, 2006. Retrieved January 11, 2007. ↑ Newman, M.H.A. (1948). ‘General Principles of the Design of All-Purpose Computing Machines’. Proceedings of the Royal Society of London, series A, 195. pp. 271–274. 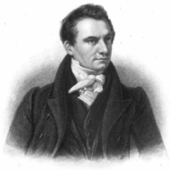 ↑ "Charles Babbage Institute: Who Was Charles Babbage?". www.cbi.umn.edu. ↑ Swade, Doron (2002). The Difference Engine: Charles Babbage and the Quest to Build the First Computer. Penguin. ↑ Phillips, Ana Lena (November–December 2011). "Crowdsourcing Gender Equity: Ada Lovelace Day, and its companion website, aims to raise the profile of women in science and technology". American Scientist. 99 (6): 463. 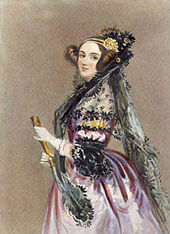 ↑ "Ada Lovelace honoured by Google doodle". The Guardian. 10 December 2012. Retrieved 10 December 2012. ↑ Cambell-Kelly, Martin; Aspray, William (2004). Computer: a history of the information machine (2 ed.). Basic Books. p. 16. ↑ Levy, Steven (1984). Hackers: Heroes of the Computer Revolution. Doubleday. ISBN 0-385-19195-2. ↑ Tedre, Matti (2014). The Science of Computing: Shaping a Discipline. Taylor and Francis / CRC Press. ↑ Abelson, H.; G.J. Sussman with J. Sussman (1996). Structure and Interpretation of Computer Programs (2nd ed.). MIT Press. ISBN 0-262-01153-0. The computer revolution is a revolution in the way we think and in the way we express what we think. The essence of this change is the emergence of what might best be called procedural epistemology – the study of the structure of knowledge from an imperative point of view, as opposed to the more declarative point of view taken by classical mathematical subjects.